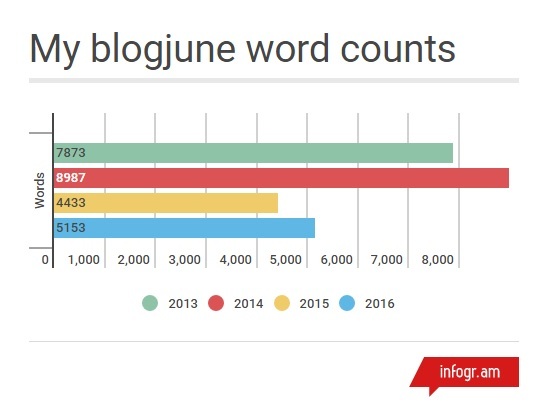 Merry blogjune for another year! What did I do this month? A little bit of blogjune, a trip to Adelaide, healthcare appointments, read 2 books, watched 1 movie, played some shape games, training at work, and went to restaurants. I’m self-assessing as a polkadot C+ for blogjune 2016 (I like John’s description of blogjune as “spotty”). 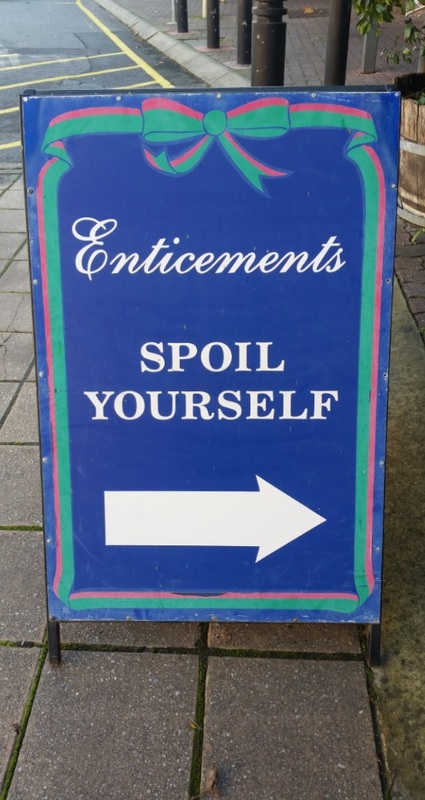 Blogjune – the enticement or distraction? Cath’s points really resonated with me – about participating in blogjune through discovery, rather than post-post-post. What should be at the centre: balance, understanding, and self-care. Reading, sharing, commenting – like Gallifrey Forest Farm’s thoughts about feeding bees with your garden. As an aside, whenever I read the word centre/center, I think of Margaret Atwood’s Variation on the Word Sleep. And during a library evening shift this week, I received a phone query about her novel, The Handmaid’s tale. This one, I haven’t read, but it was exciting as I felt it was a Sign From The Universe As To What I Should Read Next (SFTUATWISRN, obviously). In my first post of the month, I was considering eating a vegan burger for every day of June so I could have a consistent theme. But I decided it would take too much cash and time. I am sure you were wondering about my burger intake, even without a definite aim towards a certain consumption level. Well, wait no longer – there were six! I figure that I shouldn’t include reheated frozen patties at home in the count, because that’s too sad desk lunch. 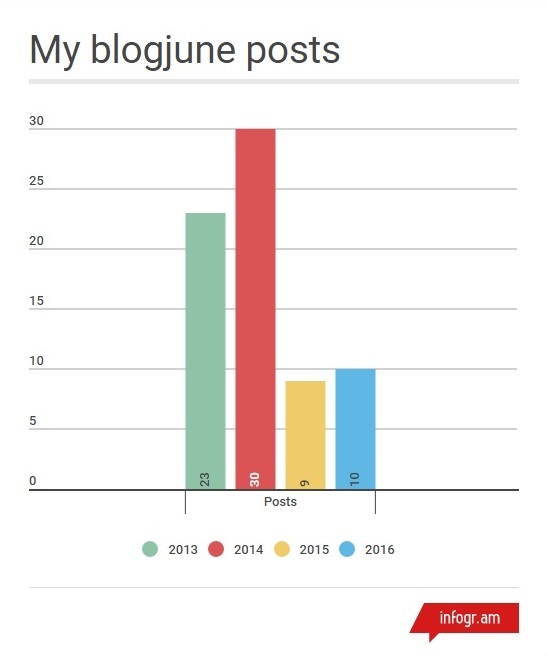 For blogjune 2016, I did around the same amount of posts as blogjune 2015 (when I was aiming to relax and not do too many things). Last year was such a laidback approach that I didn’t reflect on this until that August…! Sidenote, I always want to write “Blugjone”. Just me? See you for blogjune 2017, to infinity burgers and beyond!